Seven hundred people living in Sedgefield, Fishburn, Bishop Middleham and the Trimdons were supported by Foodbank last year. 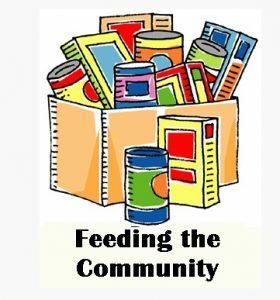 And, say Sedgefield Area Churches Together, caring locals donated 1793 kgs of foodstuffs through collection points in each of the churches, the Co-op stores in Sedgefield and Trimdon Village and St William’s School in Trimdon Village. Organisers have praised the generosity of local residents for helping families currently battling the region’s challenging economic situation. In 2017, the Foodbank initiative run by the Durham Christian Partnership fed 14895 people (4855 of them children) across the county with 109320 kgs of food donated by members of the public.